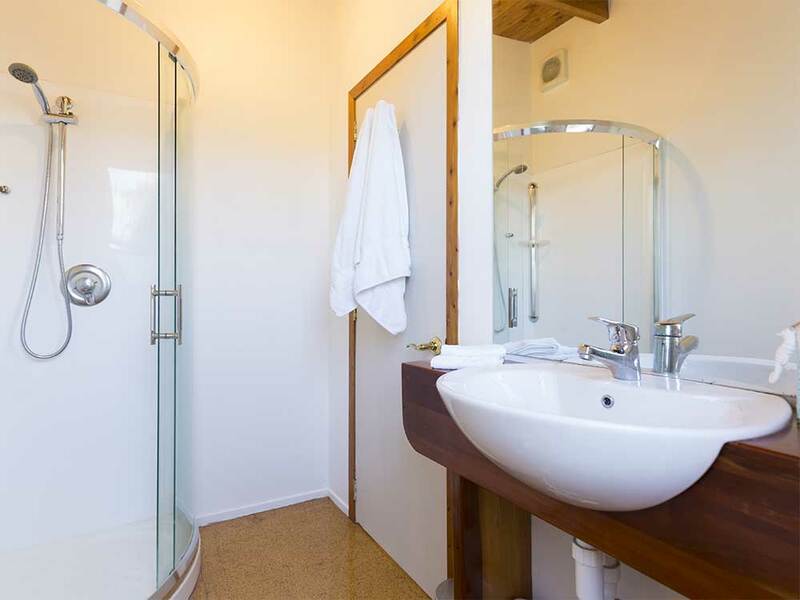 Karaka Studio has been added to accommodate further guests due to demand whilst retaining all privacy. 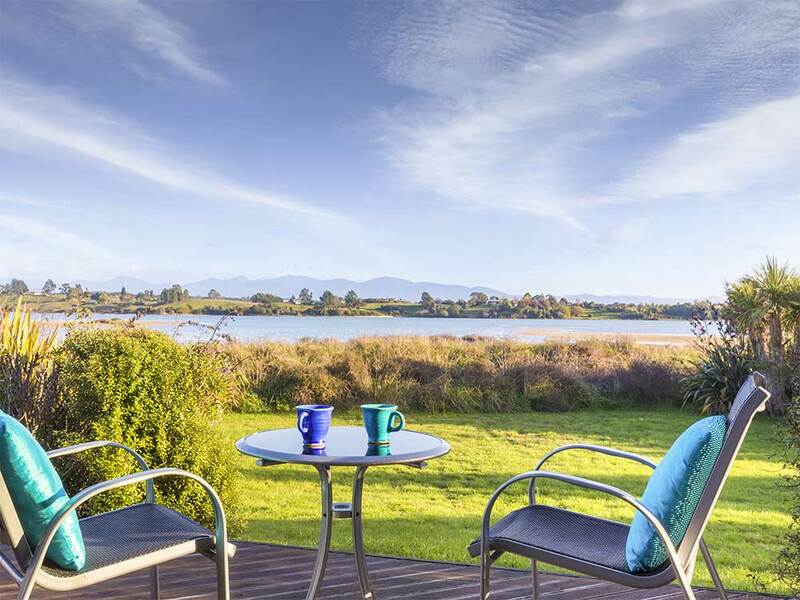 It is situated in a very private area, twenty metres from the water’s edge and like the Eco Cottage has stunning views of the estuary and Mount Arthur Range. You can relax in bed and watch the tide come in or sit on the deck with a local wine watching the amazing sunsets over the estuary and Western Ranges. 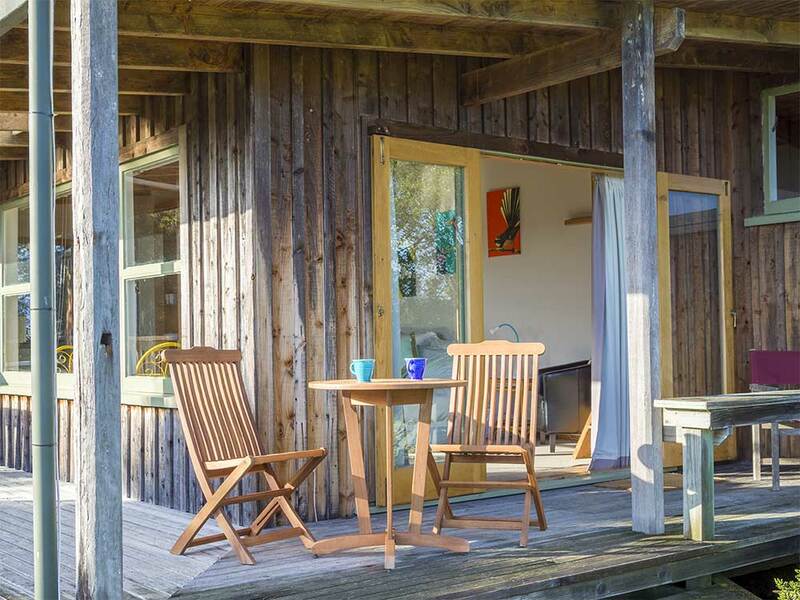 It is a sunny spacious studio unit with decks of three sides. It has its own private bush and lawns to the estuary ensuring that it has total privacy. It has a Californian super king size bed, with high quality linen. Set in to the side, up in a small loft, (with a window looking down the bay is a double bed for an extra couple. Facilities include fully self contained kitchen (no dishwasher or full oven) but has a microwave/grill, gas cooker hob, fridge, washing machine, iron, hair dryer, BBQ on the private sunny deck. TV CD, DVD, free unlimited wifi. Complimentary tea and coffee. A highlight for our guests is a luxurious outside bath where you can lie and watch the clear night sky.. Tariff per night for Karaka Studio. Min two night stay. Not suitable for small children.